From 1975-1984, New Zealand was led by a National Party government under Prime Minister Robert Muldoon. Muldoon was a strong supporter of the ANZUS (Australia-New Zealand-United States) alliance, seeing alignment with the US as a core New Zealand security interest. 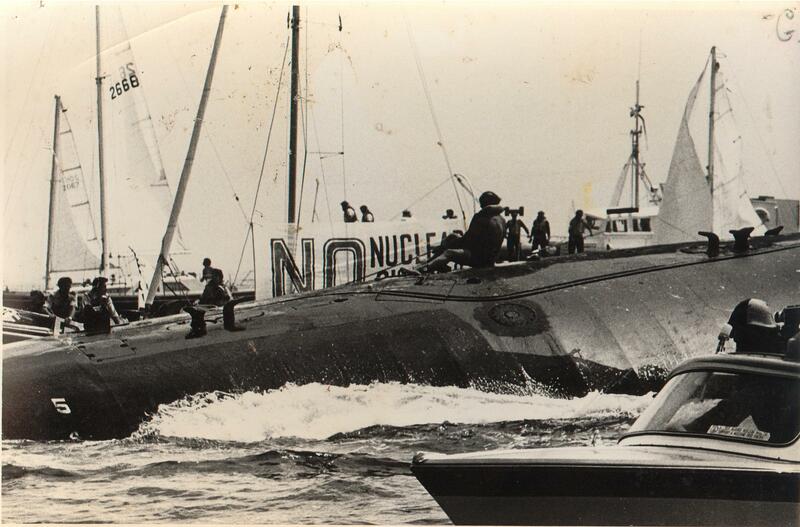 Muldoon’s government supported and encouraged visits to New Zealand by US nuclear powered warships. 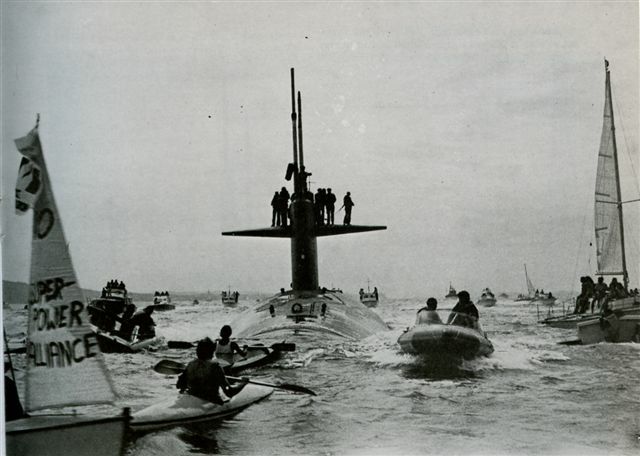 During the Cold War (generally considered to have lasted until 1991), many such US warships were assumed to be carrying nuclear weapons because the official US policy was that the US would ‘neither confirm nor deny’ whether vessels were carrying nuclear weapons. 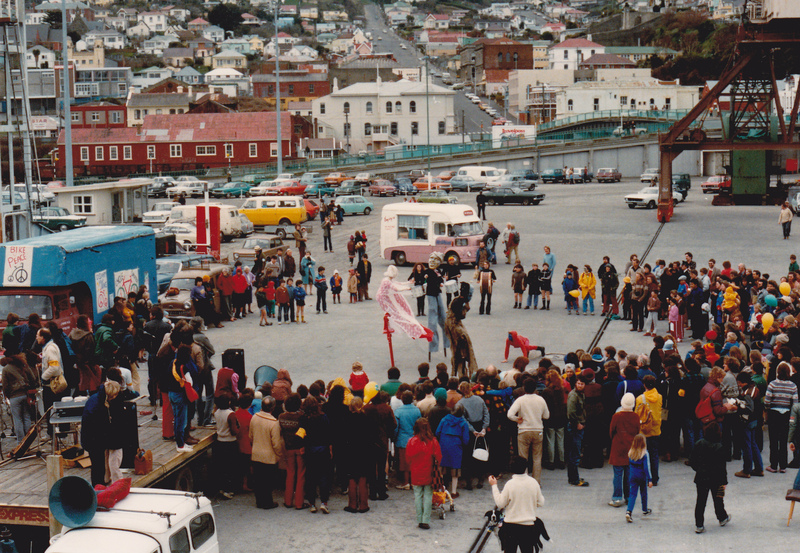 From 1976—1984, eight nuclear powered and potentially, nuclear armed, US ships visited New Zealand. 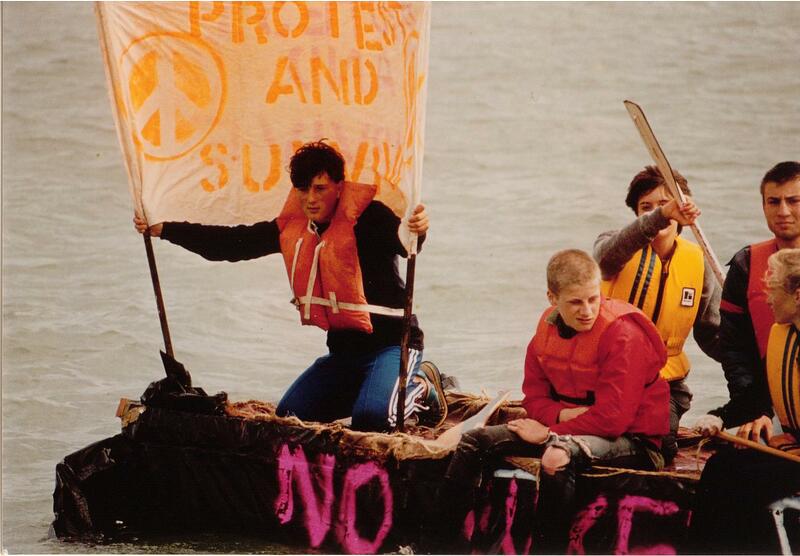 Anti-nuclear activists throughout the country responded to the visits of these ships with dramatic protest campaign known as the Peace Squadrons. 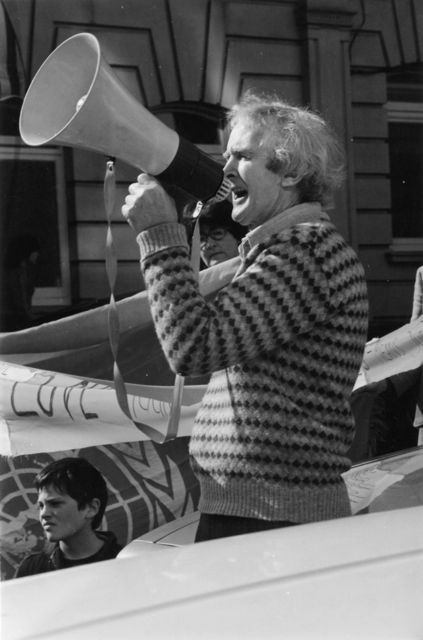 This campaign was modelled on Quaker protests against US government arms exports and was led in New Zealand by Rev. George Armstrong. 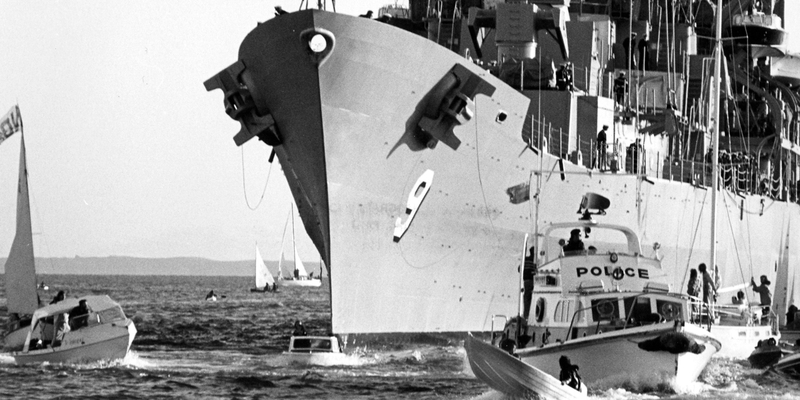 The Peace Squadrons involved small, privately-owned vessels blockading New Zealand harbours, swarming around incoming nuclear warships to try to prevent them entering. This produced extensive media coverage — much of it sympathetic. 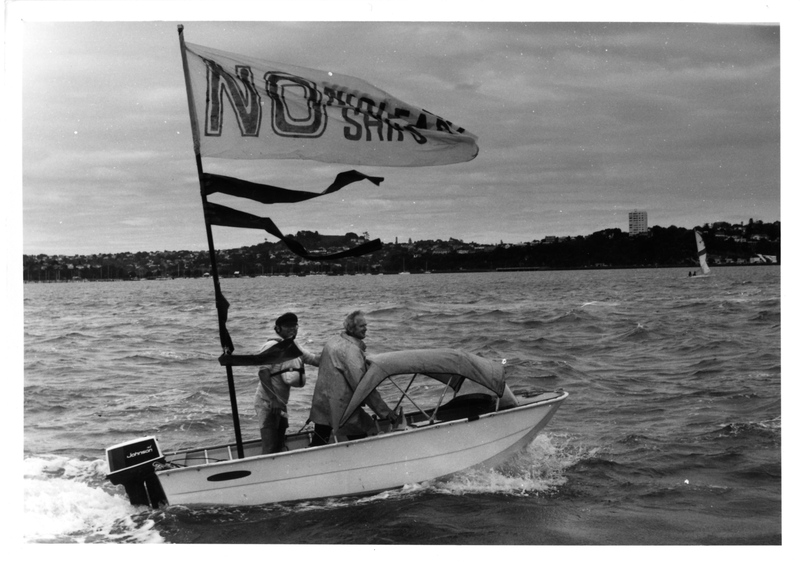 The waterborne protests created iconic, David-vs-Goliath images and video footage of tiny, civil society protest vessels surrounding enormous US nuclear warships. 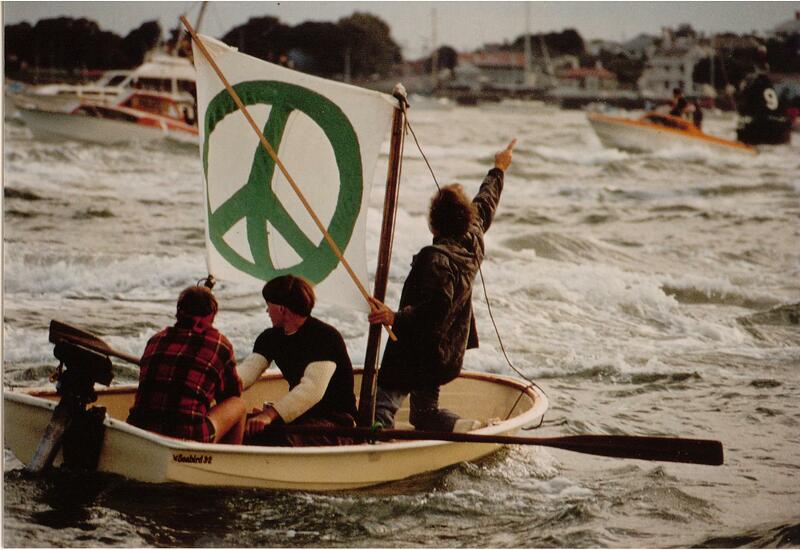 The waterborne protests were often accompanied by large marches on cities’ main streets. 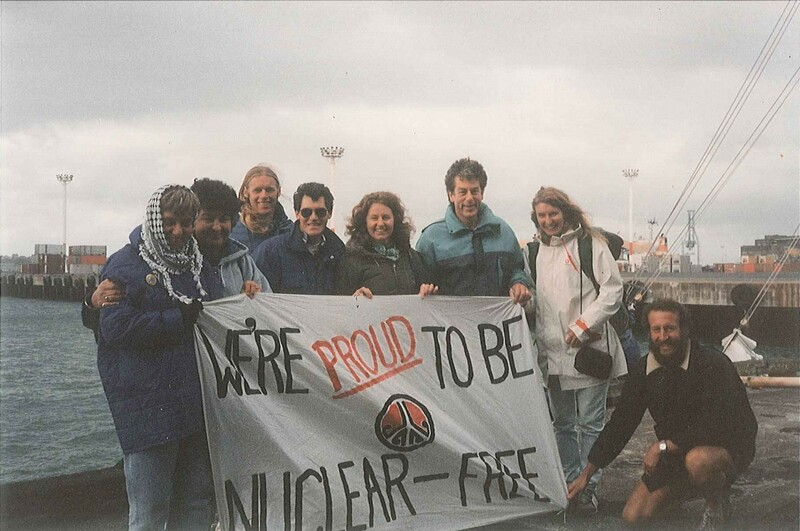 This protest activity significantly increased public awareness of the nuclear threat. 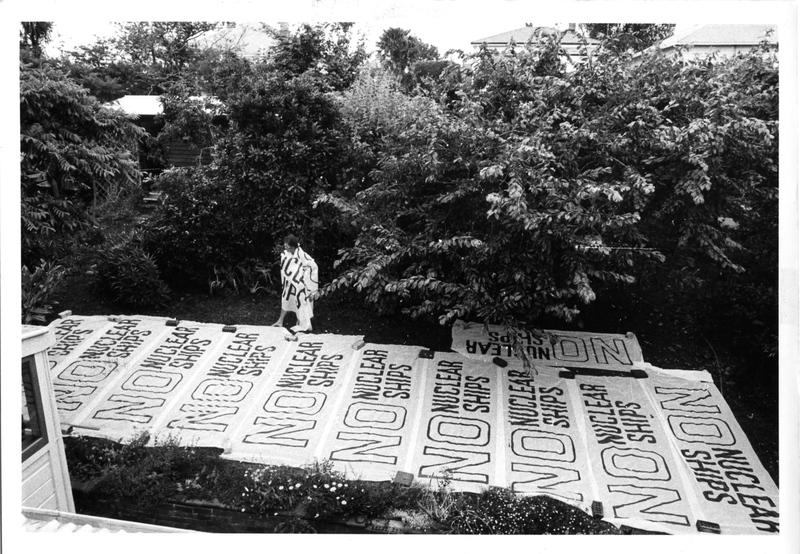 Pat Hanly painting banners for the Peace Squadron fleet.